Couldn't get enough of Piczle Lines DX? This is for you! Another Piczle Lines game with 500 new and sometimes feisty puzzles to wrap your mind around. 25 new puzzle packs with 20 puzzles each, containing famous places and people, works of genius and very challenging 1 color puzzles! Draw lines to connect pairs of numbers to complete a hidden picture in this feverishly addictive PICture puzZLE game! Connect numbers of the same color, using the same number of blocks as the number! Easy controls let you draw line after line as you gradually reveal the picture! Once you start you'll be hooked! 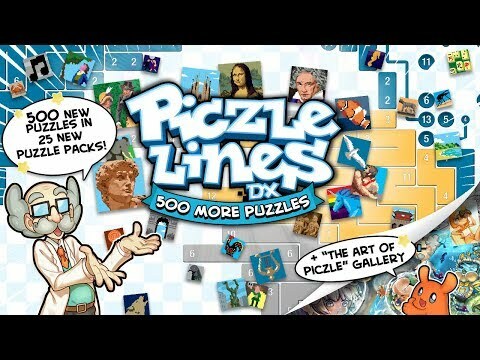 Piczle Lines DX 500 More Puzzles! was released on Switch 269d ago in the US and the UK. Notify me when Piczle Lines DX 500 More Puzzles! is available.